Peter Strzok, the disgraced and now-fired former FBI chief, is using a Weekly Standard (TWS) testimonial to raise $500,000 in donations through a GoFundMe campaign. Strzok was finally fired this week, months and months after some 50,000 of his private texts revealed that, among other things, this high-level agent was assuring and reassuring fellow agent Lisa Page (his mistress — who still has a job in the FBI) that Trump would not be allowed to become president. “No, no he won’t. We’ll stop it,” he told her. Worse still, were the texts reassuring Page that if Trump did become president, he had an “insurance policy” in place. When you combine the texts with the outrageously unethical behavior of an FBI that let Hillary Clinton off the hook for countless crimes and then turned around to spy on the Trump campaign — using a fabricated FISA warrant and opposition research paid for by the Clinton campaign — what you have is Strzok (who supervides both investigations) working overtime to keep his venal promises to his gal pal. But now that this bad cop has finally been fired, the anti-Trump resistance must take him on as a folk hero, which means he has already raised (as of this writing) $383,000 of the $500,000 GoFundMe goal. Included in the GoFundMe campaign is an endless, 12 page homage to Strzok’s years of selfless service. And crown thy good with brotherhood, from sea to shining sea…. Included in the purple homage are testimonials from far-left media outlets like the Daily Beast, the Washington Post, Slate, and … The Weekly Standard? After some 20 years as a respected conservative publication, it is still sometimes surprising when confronted with just how far the Never Trump publication has gone off the rails in the age of Trump. 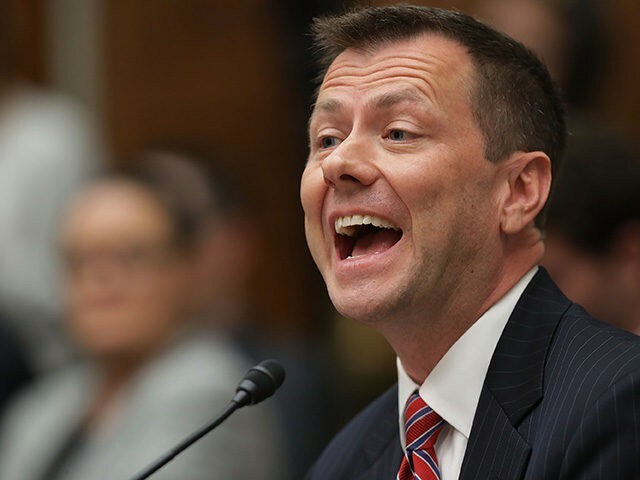 Strzok did not like Donald Trump, did not want him to be elected president, and had a personal animus toward the Republican nominee and perhaps even his supporters. Yes, “perhaps” his supporters, who he called “ignorant hillbillies,” and said he could “smell” in a Walmart. [U]ntil there’s evidence Strzok actually took action to taint the investigation, the overwrought tale of bias at the FBI is just sound and fury. …from sea to shining sea.